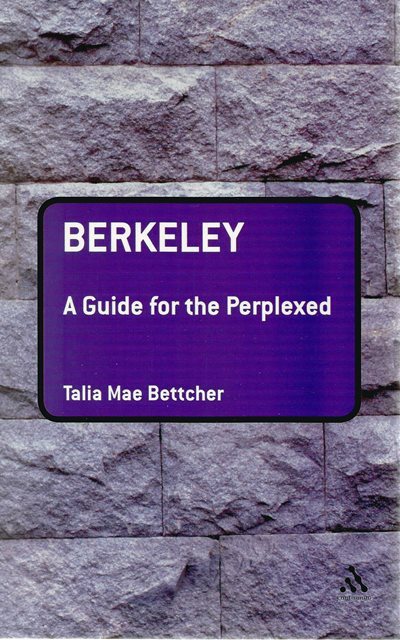 Berkeley by Talia Mae Bettcher is a clear and thorough account of Berkeley's philosophy. The book covers the whole range of Berkeley's philosophical work, offering an accessible review of his views on philosophy and common sense and the nature of philosophical perplexity, together with an examination of his two major philosophical works, The Principles of Human Knowledge and Three Dialogues Between Hylas and Philonous. 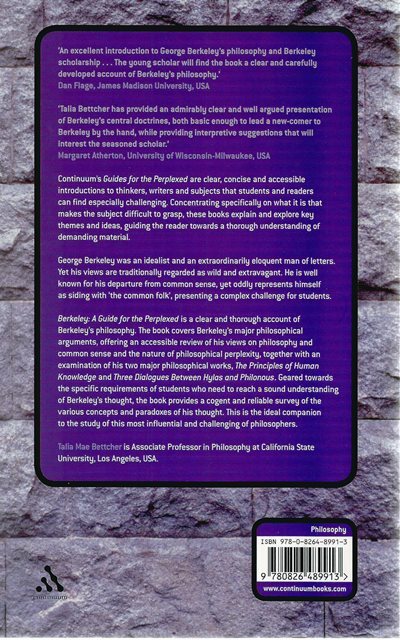 Geared towards the specific requirements of students who need to reach a sound understanding of Berkeley's thought, the book provides a cogent and reliable survey of the various concepts and paradoxes of his thought. This is the ideal companion to the study of this most influential and challenging of philosophers. George Berkeley was an idealist and an extraordinarily eloquent man of letters. Yet his views are traditionally regarded as wild and extravagant. He is well known for his departure from common sense, yet perversely represents himself as siding with 'the common folk', presenting a complex challenge for students.